WASHINGTON (CNS) — In mid-March, the U.S. Supreme Court considered possible racially biased juries in two death penalty cases. They rejected one case and listened to oral arguments in another, but in both cases, justices expressed unease. On March 18, the court declined to hear the case of Keith Tharpe, a black man from Georgia who claimed his death penalty sentence was tainted by racial prejudice from a white juror who asked if black people have souls, among other disparaging comments, revealed in sworn statements. Tharpe was convicted in 1991 for the murder of his sister-in-law. His execution, scheduled for September 2017, was given a stay by the Supreme Court hours after he was to have been put to death by lethal injection and after he had eaten his expected last meal. Georgia can now set a new execution date for him. On March 20, the court heard arguments in the case of another black death-row inmate, Curtis Flowers, a Mississippi man tried six times for the shooting deaths of four people in a furniture store in Winona, Mississippi, in 1996. He was convicted on his last trail by a jury with only one black juror. Flowers claims the jury selection violated his Constitution right to an impartial jury especially since the lead prosecutor had a long history of eliminating potential black jurors from the jury pool. 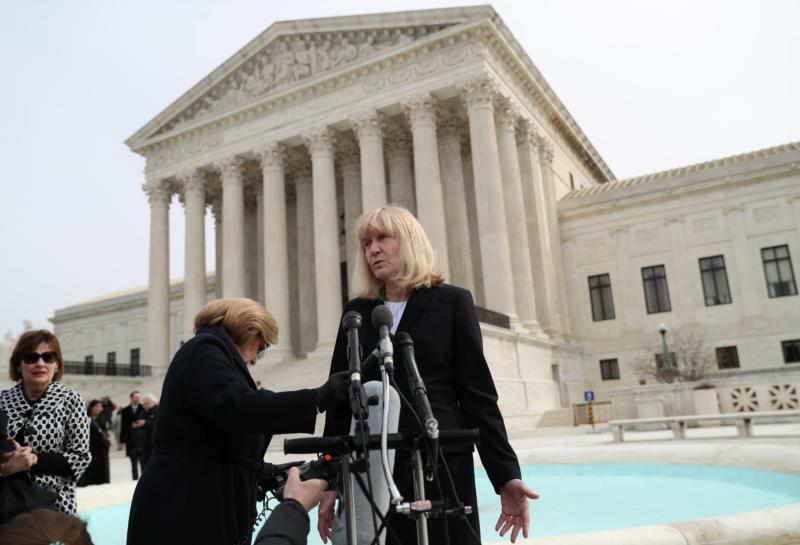 “The history of this case, prior to this trial, is very troubling,” said Justice Samuel Alito. The justices seemed convinced that District Attorney Doug Evans, who tried Flowers six times, used racial bias in selecting jurors and if that’s their final decision, the court will overturn Flowers’ murder conviction and send it back to the state to decide whether to prosecute Flowers a seventh time. The justices zeroed-in on the Supreme Court’s 1986 decision in Batson v. Kentucky, which said the peremptory challenges used by prosecutors and defense attorneys to strike potential jurors could not be used because of race. In 2016, the Death Penalty Information Center said two recent studies examining the effects of the Batson case found that despite the Supreme Court’s ban on racial discrimination in jury selection, black jurors continue to be disproportionately removed from jury pools in North and South Carolina. The authors in the North Carolina study wrote: “Defendants challenging racially discriminatory peremptory strikes still face a crippling burden of proof and prosecutors’ peremptory challenges are still effectively immune from constitutional scrutiny.” The South Carolina study found that prosecutors exercised peremptory strikes against 35 percent of otherwise eligible black prospective jurors, nearly three times the rate of 12 percent that they struck otherwise eligible white prospective jurors. Vaillancourt Murphy said these cases not only “shed light on how racism has permeated our judicial process” but they also show how the nation’s highest court can’t keep intervening for each failing within the criminal justice system. “As a society, we cannot expect the Supreme Court to be the backstop for every case affected by bias or injustice. The inherent arbitrariness of the death penalty ensures that racial bias frequently influences the decision of who lives and who dies. The only way to avoid this gravest of injustices is to do away with the death penalty completely,” she said in a March 27 email to Catholic News Service.